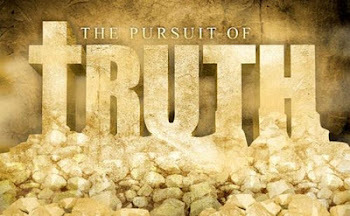 The TRUTH under FIRE: A Study in Paul’s Epistle to the Romans – “On the Road of Righteousness” Chapter Two: Guilty as Charged. A Study in Paul’s Epistle to the Romans – “On the Road of Righteousness” Chapter Two: Guilty as Charged. As it is written, There is none righteous, no, not one. This is the conclusion he is working towards in his examination of humanity and all of its various aspects: from the pagan idolaters (ROM 1:21-32), to the Gentile moralizers (ROM 2:1-16), to the Hebrew ‘Judaizers’ (ROM 2:17-24) – all of us are equally blameworthy of sin and have a sinful nature; there is no one, based upon their own merit or code of moral conduct (or lack thereof) that can stand righteous before the LORD God. This sounds not only harsh, but unfair doesn’t it? Why would we be considered “guilty of all”, if we have kept ALL the Law . . . but fail only in one instance?~~ What I believe James is pointing out is that by committing a single, solitary sin during the course of a (theoretically) Law-abiding life, this reveals that we possess a sinful nature, which is a nature capable of sinning in any capacity. The potential of committing each and every sin resides within the being of any sinful person – all that is necessary is time and availability for such a depraved nature to prove itself overtly “guilty of all”. There is a distinction between a sinful act (some deed committed in actuality) and a sinful nature (a real state of being that is both contrary and opposed to God’s own nature of holiness). It’s been said, “We don’t become a thief when we steal, we steal because we are a thief”. The nature determines the behavior and all of that behavior’s actions. One cannot expect a sinner not to sin any more than expect a dog not to bark, a cat not to purr, fish not to swim and birds not to fly (unless we're talking penguins and ostriches), etc. For a sinner to act contrary to sinfulness would be against their nature; this is why the human race requires a NEW nature to be instilled, but how to accomplish this – there’s the rub! And here we have one of the quintessential problems of the human condition: the contradictory position of knowing what is right and wrong, espousing allegiance for what is in fact right, but yet in practical action doing that which is wrong. We call this condition the sinful nature vs. human conscience. As this struggle between these two intensifies it all too often leads to blatant hypocrisy. While it’s been long used in allegation against the ranks of Christendom by skeptics, humanists, atheists and the like, and not without significant justification I might add truth be told, it’s something that plagues us all to one degree or another. Man in his most ardent struggles to reach the pinnacle of philosophically moralistic conduct is still plagued with this base nature. Like some wild beast that can barely be held in check, and even then not for long; with the chains of intellectual and moral prohibitions, this sinful nature with subtlety and cunning will overcome any such pretentious aspirations by human beings to overcome by their own will or determination. This dichotomy is the very stuff of novels and stories that depict the grand struggle of “man vs. himself”. One such story is Robert Louis Stevenson’s The Strange Case of Dr. Jekyll and Mr. Hyde. The struggle of man between his good nature and evil is at best, fantasy or worst delusional, because there is in reality no inherit good in mankind, either the individual or the species (only a conscience that dictates what is good or bad). This is the pill that due to pride, is hard to swallow and this is why I believe Paul so intensely tackled this issue, particularly because the philosophy of that day (much like ours today) was obsessed with finding the summum bonum or the ultimate or highest good . . . but with the misapplication of trying to find it within the heart of humanity (This is one of the primary philosophical attitudes and perspectives of what’s known today as the Emergent Church Movement). The other fatal flaw in this quest is that in pronouncing judgment and condemnation of others, the judges are themselves culpable of crimes of the same kind. Those that claim the moral high ground in condemning those ‘caught in the act’ are themselves caught by the very truth that condemns them as well; the truth as inherit in and is personified by God Himself. Supposed high ground or not, there’s not a solitary human being who was ever born and lived that will not have their lives examined by the Holy Eyes of the Judge of the whole Earth (GEN 18:25); with the scrutiny of relentless Righteousness, this Judge Whose courtroom resides in heaven will examine every action and deed, every thought, motive and intention of every sinner and know the certainty and blameworthiness of the sinner’s heart. See also: 2 PET 2:9; 3:7; 1 JOHN 4:7; JUDE 1:14,15. I have a large variety of tracts that we dispense in our outings on the streets of Tucson, and which I also leave on bus seats, or at bus stops, stores, and offer to people, etc, and among my favorite is the one entitled: “Jesus is not your homeboy, He is your Judge”. Christ’s Court: SOON in SESSION – Part One of Three. The stark reality is that God cannot refrain from judging in righteousness and truth as these are integral to His nature (and rightly so as Creator of all), but were He to conduct Himself accordingly, He would condemn the whole of humanity which He loves. So, from before the foundation of the world, God enacted a protocol that would be realized once God the Son, the Word Incarnate came to this rebel planet at His First Advent: we who saw His goodness and His love were pierced through with conviction of sin and a true repentance of heart and life. Those who refuse to see, will continue and proceed unimpeded towards destructive judgment and perdition (JOHN 3:14-15,18). Do a search on your favorite Bible search engine or pick up an exhaustive concordance and look up the word “wrath”, and those who use such sites, type in “wrath . . . God” or “day of wrath” and look at the results. Most often, this is in reference towards unrepentant humanity and the resultant judgment that they will face, having rejected God’s offer of salvation via the Gospel of Jesus Christ. It’s the most sobering, frightening thought that those outside of the grace of God, and that by their own volition, having a continual flow of wickedness that they ponder upon and commit, ‘store up’ on the record of those books that will be opened on the Day of Judgment.
. . . and the dead were judged out of those things which were written in the books, according to their works.
. . . every mouth [may be] stopped, and all the world [may] become guilty before God. See also HEB 3:12-13,15; ECCL 8:11; JER 7: 2-16; REV 9: 20-21. Obedience to the Truth: that is the criteria that will be the basis for God’s Judgment. Firstly, for those who are obedient, in “patient continuance in well doing seek for glory and honor and immortality, eternal life” (eternal life is knowing God, and His Word/Truth Incarnate – Jesus Christ; see JOHN 17:3,17), and the judgment we will receive from God’s throne will not decide our eternal fate or bring judgment of sin upon us (rather this will be a judgment for rewards, or lack thereof for all those in the church. See 1 COR 3:11-15); as we have placed our faith and trust in our Sin-bearer, Jesus Christ who became sin for us (2 COR 5:21), bore the judgment of our sin (ROM 8:3), and conquered both sin and death by His resurrection (ROM 14: 9; 1 COR 15:20-21) and from Whom the church will not know “wrath” or “tribulation”. 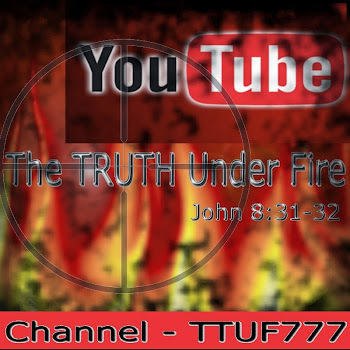 Secondly, for those who are contentious and obey not the truth, these will know the wrath of God and tribulation in His judgment against their rejection of the Gospel (2 THESS 1:7-9; REV 6:16); to the Jew first and to the Gentile also, each according to the degree and depth of revelation that they have received. This is why we at TTUF firmly and devoutly believe that the church, that is the body of Christ that has been baptized (spiritually; ROM 6:3; GAL 3:27) into Christ via the new birth (JOHN 3:3-5; 2 COR 5:17; GAL 6:15) will not enter into or endure the length of this quintessential time of wrath and tribulation as represented by Daniel’s 70th week (a period of seven years [literally a “week of years”] and final of 70 weeks total (69 of which are passed already); for this period is reserved for the truth-rejecters and the Gospel deniers who refuse salvation via Jesus Christ. This is primarily a judgment against Israel (Thus the term used in JER 30:7, “the time of Jacob’s Trouble”) because to her was given the holy oracles of God, the Scriptures (ROM 3:2) of which the predominant theme is on the Messiah and His coming (the First and Second Advents) which heavily documents the prophetic arrival time – she should have known her Messiah, but didn’t and rejected Y’shua ha Meschiach Nagid and for the most part, still does today (though the number of Jews coming to faith in Messiah is increasing!). The same goes for the Gentile nations of the world because there are relatively few that will be saved and again because these born again believers have willingly received Him Who is LORD of all, the LORD Jesus Christ – and the majority of Gentiles have not (See LUKE 13:23-30, esp. 23-24). All of the Gentiles will likewise be judged by God according to the degree and depth of revelation given to them. Whether it be the pigmy who never heard of Jesus Christ or the Gospel or the liberal scholar who possesses dozens of Bibles in his library, both will be judged: the pigmy according to the revelation of a Creator who has designed the whole world that is seen and through such understands that there is a God that reigns over all His creation (ROM 1:20-23); the liberal scholar according to the truth in his possession, but nonetheless “holds the truth in unrighteousness” (ROM 1:18). Wrath will be measured out to both in accordance with their rejection of the truth in light of revelation received (LUKE 12:47-48). Note that just as judgment will be measured out to both Jew and Gentile, so likewise “glory, honor and peace” to both groups regardless of their heritage, if they receive the truth; being that God has no “respect for persons” or ‘plays favorites’ He is willing as the Son of David (A Messianic title; MATT 1:1; 21:9) to save Israel, God’s nation; and He is likewise as the Son of Man (A title that identifies Christ with all humanity; LUKE 5:24; 19:10) willing to save Gentiles as well “as a people called out for His Name” (see ACTS 15:14). The doing of the Law as here expressed can not be flawless or perfect, but any “doing” could at best be accomplished only superficially, and with profound imperfection. A good example of this is found where the LORD Jesus has some interaction with a certain “rich, young ruler” (MARK 10:17-27) who declares that he followed all of the Law since he was a child. Yet the LORD pointed to the “one point” which made him “guilty of all” as we read from the epistle of James, and that was his riches which he would not give up – “thou shalt not have other gods before Me” (EXOD 20:3). The rich young man wanted to serve both God and ‘Mammon’ (the god of wealth and pleasure, connotatively speaking of money) which the LORD declared was impossible (MATT 6:24). The purpose of the Law is twofold: to reveal the holiness of God (LEV 11:44-45), and the sinfulness of humanity (ROM 3:20). The Law written in our hearts provides a conscience by which we will know right from wrong as well as guilt and shame for impure and unrighteous thoughts, acts, conduct and practice. Our conscience, if sin is pursued relentlessly can become seared or hardened (that is, a “hard heart” (See EPH 4:19; where the spiritual condition of the sinner is one step removed from being reprobate), and if repentance is not at all realized, such a person becomes reprobate or incapable of repentance even if the Spirit of God woos them (1 TIM 4:2; ROM 1:28; 2 TIM 3:8; TITUS 1:16). Adokimos is the Greek word for “reprobate” and means “to be rejected after testing, worthless, unapproved”. In contrast to this, the word Ginosko means “to know” and where it refers to relational matters of one who is known, and the other who knows, it can also mean “approved” as in GAL 4:9. Those who are know and are known (ginosko) by the LORD are approved, those who don’t know, and are not known of the LORD are not approved (adokimos). As stated previously there are those that assert that Paul presented a different Gospel other than the one that the LORD Jesus gave, and they use this as a proof text to defend their position, which is dubious at best. Paul said elsewhere that he was given a dispensation by the LORD Jesus Christ Himself to declare the Gospel (thus the use of the phrase “my gospel” or as could be rightly interpreted “my dispensation of…” 1 COR 9:17). Furthermore he states that there really is only one Gospel; that all others are not genuine (GAL 1:6-7) and are in fact, in Paul’s own words “[perversions of] the gospel of Jesus Christ”; which Gospel was declared in the Old Testament canon or “the scriptures” as in 1 COR 15:1-4. Judgment will be officiated by none other than Jesus Christ Himself, as the Father has given to Him this office (JOHN 5:26–30) and there is nothing secret that shall not be known (MARK 4:22; HEB 4:12-13). See also: NUM 32:23; JOB 10:14; 14:16; 20:27; PROV 26:26; ECCL 12:14; JER 2:22; 16:17; EZEK 11:5; HOS 7:2; AMOS 5:12; 1 COR 4:5. The power of God in salvation has never been in the acquisition of religious or mystical knowledge; otherwise any one could be saved within the context of any religion or mystical society with such acquisition. One of the two key verses in this epistle is found in chapter One which we already mentioned (ROM 1:16); the power of God in the work of salvation has been, is and ALWAYS WILL BE by the Gospel of Jesus Christ, a very definitive and simple-to-understand Gospel (which some would seek to obfuscate with confusion and questions, i.e. Brian McLaren; See the recent article on The RED PILL Consortium – Is Brian Lyin'? Just as this sort of Jew who “rests in the law” and “knows His will” and who “has a form of knowledge” is knowledgeable in religion and has a rudimentary understanding of the Scriptures and in part the truth, there are also those in the present-day apostate church who . . . Without the Spirit of God, Who is imparted not by the Law, not by works of the flesh, or the will of man (JOHN 1:12-13; 3:5-6), but solely by the grace of God through our LORD Jesus Christ, there can be no spiritual understanding, much less spiritual life. This is where Paul is leading us to, but as yet he is still proving that any other means other than Jesus Christ are vain. Judaism under the Mosaic Law is just as powerless as that brand known as Talmudic ‘Law’; we cannot be justified by the Law and sacrifices (HEB 10:1-4), and we cannot be justified by the Law and dead works (HEB 9:11-17). All these can do is reform a person from a blatant sinner to a blanketed sinner, whose person and mannerisms appear changed externally, but inwardly are still unregenerate. What is needed for the sinner is not reformation, or conformation but transformation – spiritual regeneration, the NEW nature earlier referred to (2 PET 1:2-4) by the very Spirit of God via the rebirth of the new covenant (JER 31:31-33; EZEK 36:26; JOHN 3:3-5,10). This offer was made to national Israel in the day in which her Messiah came, but they officially rejected Jesus as their Messiah, and so He has turned to the Gentiles (and individual Jewish people) and made this same offer (but by no means abrogating this new covenant with Israel as some have asserted; but merely has postponed it until His Second Coming, as we shall see later in Romans). Whether Gentile moralizers or Jewish teachers, both are susceptible to ‘talking the talk but not walking the walk’ as it were; giving lip service to the ideals of truth and morality, but finding themselves abjectly deficient in living out such principles in every day life (and even we who are born again have this same sort of struggle but within an entirely different context as we shall see in ROMANS 7). Perhaps Paul even had this in mind in his scathing questions of the Jew who “rested in the Law” outwardly, but broke it incessantly in their hearts; however such unlawful thoughts if entertained for too long would bring forth the fruit of sinful action, and such would be necessary in order for Gentiles to have witnessed this and in response the name of God was blasphemed among them. When you think about “taking the name of the LORD in vain”, do you think it refers to cursing? I used to; then I heard a teaching that talked about the name of the LORD which is Holy, and for anyone to take the name of the LORD was to devote yourself to God and present yourself as a believer in Jesus Christ, but such would be vain if it wasn’t genuine.
. . . Yea, all of you be subject one to another, and be clothed with humility: for God resisteth the proud, and giveth grace to the humble. We’ve all read the parable of the Pharisee and the publican (LUKE 18:9–14), and it’s revealing in how the Scriptures address this: for the Pharisee “stood and prayed thus with himself” – he had an audience of just one: himself! He was an example of one who “trusted in [himself] that [he was] righteous, and despised others” like the publican, who wouldn’t even so much as “lift his eyes to heaven, but beat upon his breast and said, God be merciful to me a sinner”. Yet our LORD commended the publican (a person that just about every Jew despised) rather than the religious Pharisee (that most of the people held in great honor and respect, but whom God despised). Have you ever noticed that the LORD Jesus had nothing but tender compassion for ‘the man on the street’ and sinners; but for the religious leaders He offered His strongest and most scathing rebukes (See MATT 23). It’s been said that Jesus Christ is the most anti-religious Person around, and as I myself have remarked about religion – that it’s an artificial (man-made) righteousness that’s really nothing more than a cheap, plastic, knock off copy of the genuine article: salvation by faith of grace in Jesus Christ! 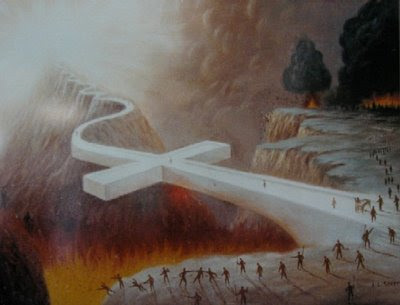 Religion in all of its various forms will lead all who adhere to them to damnation! Circumcision was a sign given to Abraham, emblematic of the faith that he exercised towards God’s Word declared to him. Circumcision was later codified in the Law (400 years later) as a symbol for the Jew, a believer in YHWH. Yet it was merely an outward sign and could do nothing to effect righteousness in the soul, not unless it was coupled with a flawless obedience to the Law, and the entire human race, save one (Jesus) failed miserably at this impossible feat. Yet for those who would keep the “righteousness” of the Law, without the outward manifestation of circumcision, these would be far more acceptable to God – if only He could find any truly righteous! And so we see that whether a pagan/religious Gentile or a moral Gentile or a religious Jew – all are unacceptable and unapproved by God according to their own merits or worth, we are all "guilty as charged". Paul will get into this in even greater detail, clinching it for us definitively in Chapter 3, coming up next time on TTUF, in this Study on Paul’s EPISTLE to the ROMANS: On the Road of Righteousness!